in the last part, I told the story of how I randomly happened a lost camera. now I’m going to talk about how a chance discovery at a thrift store tapped into the same initial curiosity and led me on a journey that would last years. it was Christmas time. I was back home for the holiday and my sister and I were out thrift store shopping. this is a bit of tradition for us. it’s a special brother-sister thing we’ve been doing since I first left for college. 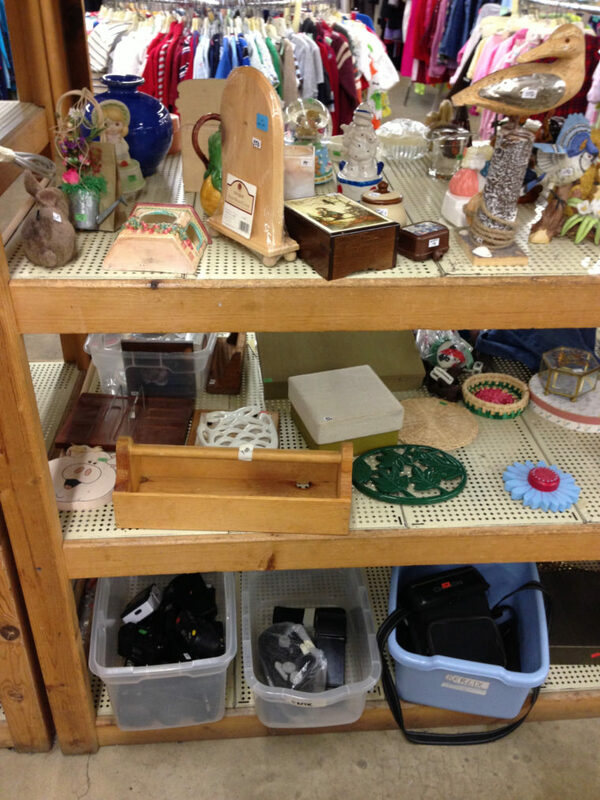 we’ll drive around Kitsap County, get coffee, and search our favorite thrift shops for treasures. we each have our favorite things to look for. my sister, Teal, likes sweaters she can deconstruct and use in her knitting projects. I like old filmmaking equipment, especially old editing splicers and viewers. I work as a video editor, and while I use a computer at work – I have a special fondness for out-dated technologies. on this particular trip, we were at St. Vincent De Paul’s and I was looking in the “film and camera” section when something caught my eye. this time is was a large plastic tub OVERFLOWING with old “point & shoot” 35mm film cameras. it seemed to be a bit of an overstock, in this age of digital cameras, how many people would want a cheap film camera from a thrift store? for some strange reason I decided to look through the tub. as I was digging through the cameras, I found one that still had a roll of film in it! then I found another… then another. soon I was sitting on the floor, unloading the entire bin and checking each camera. that night I left “St. Vinnyʼs” with four cameras, each with a roll of film inside. I was astounded that people would give away their film. 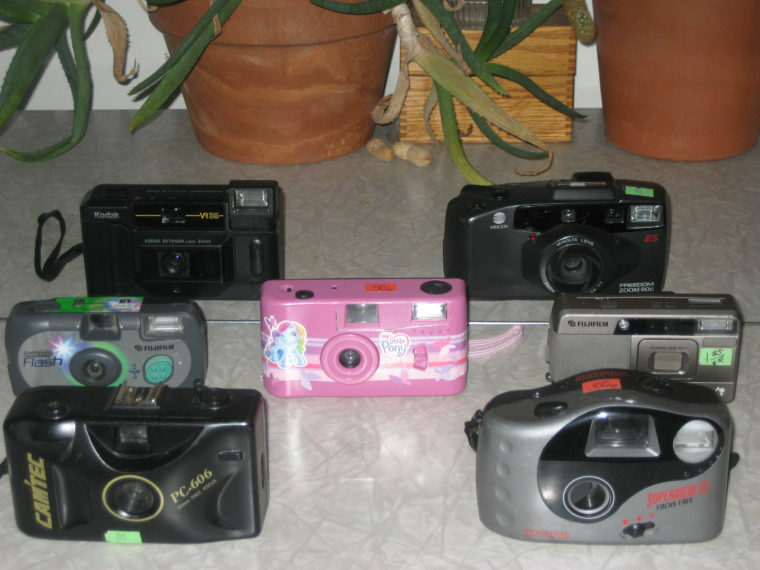 later on that trip, I found several more cameras at a different thrift store… and with that, I was hooked. it was simply TOO many cameras to be a mere coincidence. I took the cameras back home to Los Angeles with me and put them with the disposable camera (the one I’d found on the park bench, years before). now there were even more questions: what led a person to donate a camera that is still full of their film? film that contained in essence, their memories. would have seeing the pictures upset them? was it too much of a bother to take the film for developing? did they simply forget about it? I wondered photos they contained and what the stories behind them were. read the next part of the story detailing the Early Mistakes & Lasting Lessons I made with this first batch of cameras.